Living Design's Vermillion sits beautifully against any wall. Beveled corners dress up the appearance while providing breathing and sound ports in the upper half of each corner allowing the gentle song of the birds to flow into your space. With solid base construction our aviaries sit on heavy-duty casters for easy movement. Staff can easily move the aviary for cleaning; however they are not designed to be moved from location to location. 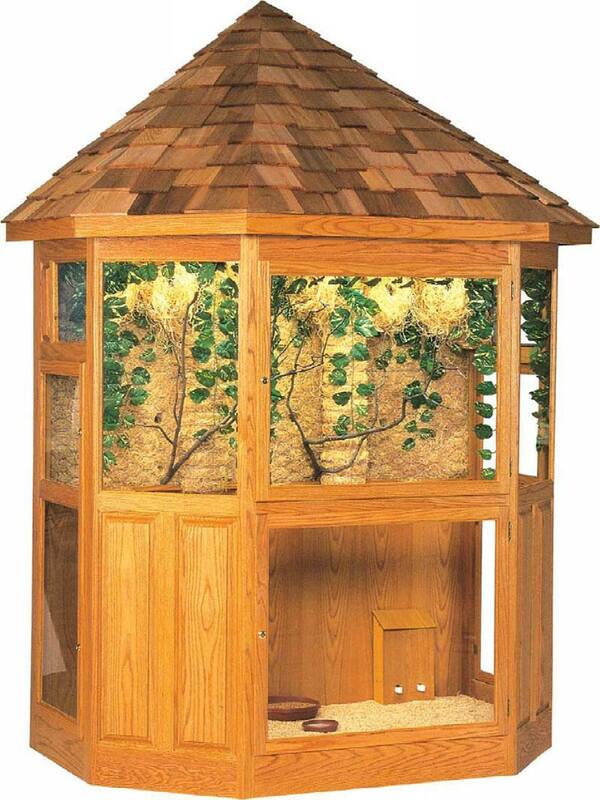 This aviary makes a statement with (6 x 4 x 10) or without (6 x 4 x 6.5) its roof.